It is a day of mixed reviews for the top 20 cryptocurrencies today, with Tron and Cardano leading the way with impressive gains, while Bitcoin is working hard to hold above the $4,000 mark. 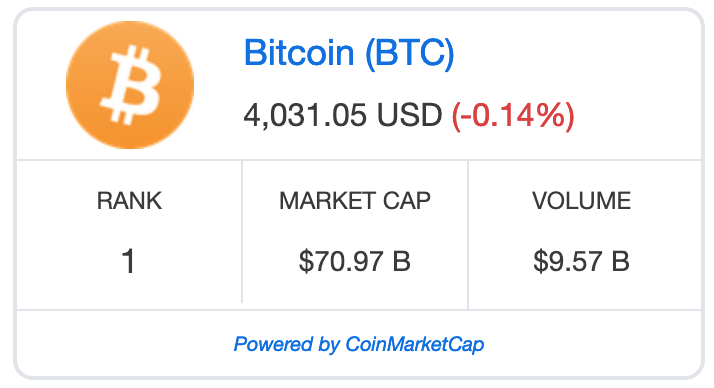 Bitcoin is seeing a minor loss of just -0.14% on the day, trading at around $4,031, according to Coinmarketcap.com. Looking at its weekly chart, the current price is just $6 lower than $4,037, the price at which Bitcoin started the week. Although not showing any recent notable upward movement, analysts seem rather positive about Bitcoin's next moves. Among the top 20 cryptocurrencies, Cardano and Tron are the ones reporting the most impressive price gains. 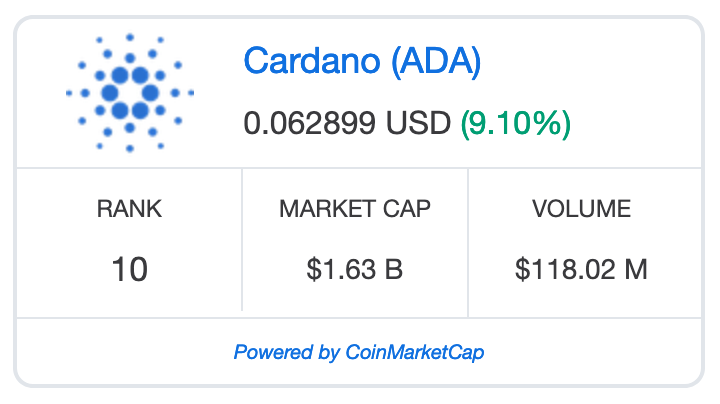 Cardano is currently trading at $0,062, showing a massive daily surge of 9.10%, with a total market cap of $1.6 billion, while Tron is having an equally impressive day with gains of more than 5%. 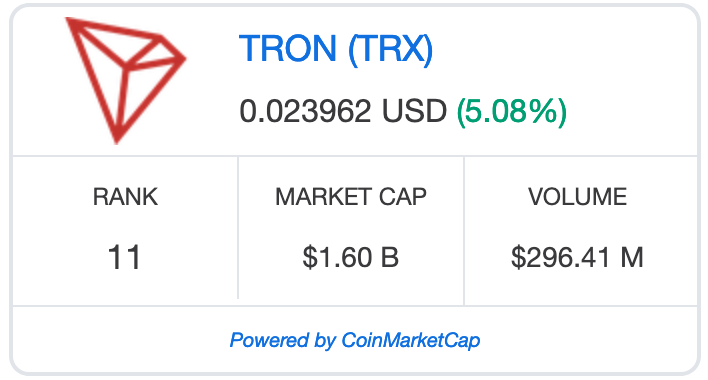 Tron is currently trading at $0.023. The biggest gainer of the day is Maximine Coin, the number 55 by total market cap, which is trading at $0.07, while showing gains of 14.11%. The biggest loser of the day is ABBC Coin, with a loss of more than -15%. The total market cap of all cryptocurrencies stands at $140.2 billion, which is pretty much identical to last week's value. 3 Undervalued ALTCOINS in 2019!Subscribe to the Chepicap YouTube Channel for more videos! Do you believe BTC can hit $400,000? All the way to 1,000,000! Pff, of course tron is going up. And after they implement their stuff with tether it's definitely gonna skyrocket to da moooon!